make it less distracting, and in the end, emphasize your models more. The redesigned interface is less intrusive and fades out completely when you move the camera or when an animation is playing. 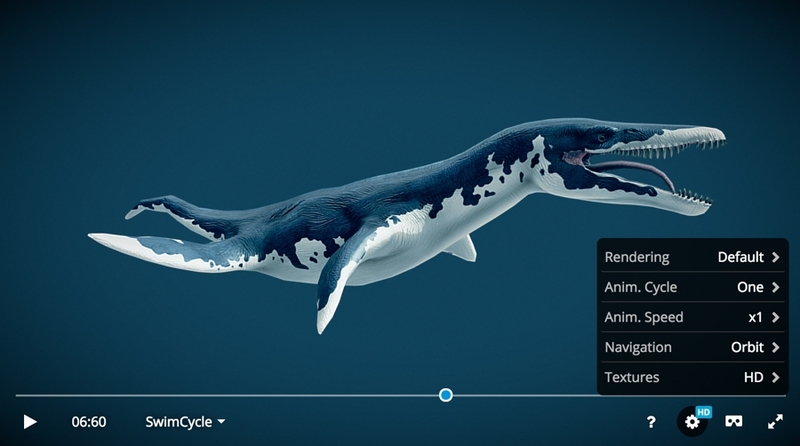 It lets you enjoy 3D models in their full glory. When embedded, the viewer now also shows your avatar. A good opportunity for branding. With this update, the viewer will also adapt better to different screen sizes. Whether you view models on mobile, in a small embed or on a large screen, the interface will adjust to your screen. Playing animations and navigating annotations is much easier on mobile now. The viewer now includes a Help screen with interesting info for both beginners and advanced users. For beginners, this screen has instructions for basic navigation and an emergency button to reset the camera. For advanced users, the help screen includes the full list of keyboard shortcuts that will let you access functions faster. When viewing animated models, you now have more control over playback. You can switch between time and frames, play the animation frame by frame at different speed and go to a specific time or frame. Along with the viewer, we’ve updated collection embeds (also known as playlists) to make them easier to navigate. We only changed the interface and the viewer is still powered by the same high-quality 3D engine. 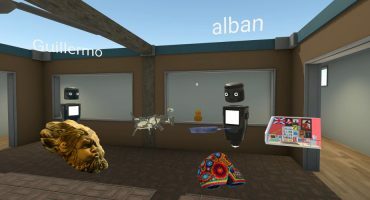 As a reminder, the 3D engine supports Physically-based shading, animations, post-processing filters, real-time shadows, supersampling and works on mobile, desktop and virtual reality. Anything that was supported before will still be supported. Our Help Center has a dedicated section with information about our viewer, including a list of all the URL parameters you can use to further tweak its behaviour. Now it looks cleaner and lighter. Good job! I can’t be the only one who wants individual map channels on top of default, shadeless and matcap :/ So yeah. But I guess the new features are cool too. We have plans for that in our roadmap. Nice job team, new viewer looks amazing! Outstanding 🙂 ! Great work, & Thank You! I really like the new viewer. Good job! Can you send us more details at https://help.sketchfab.com/hc/en-us/requests/new ? Very nice, light yet powerful 3D engine. Wow!. I was Happy At first. BUT You Broke the WebVR I was Using with the Vive.. Doesnt work at all now. ;-( And I was supposed to show a demo today at work. UGH. You Cant edit your Comments???????? My email auto filled in the Damn username???? Ken, sorry about that. I’ll put that on our todo list. In the mean time, I’ve edited your comment and removed your email address. Sorry for the inconvenience. We’ll fix this shortly. Thanks For All the quick Replies, you Guys Rule! Really bummed the new interface no longer works with the Vive for VR. I hope you all can fix that ASAP! Sorry for the inconvenience. It should be fixed now. hm to be honest, i prefer / like the old viewer more. It had an better overview and wasn’t to packed with information we have now. I think its specially the sub categories iam not prefering. anyway i love you, else what you doing. so i don’t care. For character animation, it would be fantastic to add audio support, especially with your new frame counter and frame-by-frame controls. It could be a super useful tool for animation performance reviews compared to reviewing simple 2D playback. Really like the new streamlining overall! Nice work. Please add online-browser for Steam’s SkechFabVR apps. This is somewhere on our roadmap. Chrome 51, Windows 7, taskbar stays on top in fullscreen mode… Can you fix it? The new viewer is useless right now 🙁 Btw mouse speed is too fast in first person view. Thanks for the feedbacks, we’ll see what we can do for that. Could we make it so that the numbers on the number pad (all the way to the right of the keyboard) also work for the shortcut keys? Also, I think it would be nice to have a way to change the color of the wireframe with a shortcut key. You could do one of two things: have one key only that cycles through the different colors, or have multiple keys for each specific color (which may be a bit much, I admit). And thirdly, I noticed when I view a model and then press 5 to switch to wireframe, the wireframe that I am given is more transparent than the normal wireframe. For example, if you open a fresh model and press 5, and then manually go and change the model to wireframe with a white color, you will see that the color becomes easier to see. I’m not sure if this is intended or not, but I prefer the more visible one, and I have not figured out how to go back to the “default” more transparent one yet either, which would be nice to be able to do if it was an intended feature for those who actually like it. Just my 2 cents. And 2 cents isn’t worth much these days, but hey, I tried :D.
Forget my first comment. It seems to be working. But the others still apply. With these improvements, is there any way to cycle through different creations in VR without having to take the HMD off in between each picture? I realize you have an app for VR headsets (which has a great UI), but that is limited to a small amount of content. In order to access the thousands of other objects, you need to select, put the glass on, take the glass off, select.. put the glass on… and so on.. Yes, this is somewhere on our roadmap. You remove function “Hide annotation”!!!!! WHY???? Autopilot should work the same. Can you share the URL of the model where the camera movement isn’t good? The autospin seems to be the issue. Having the camera and the model moving at the same time is jarring. My idea for presentation models is, when I load model, model is rotated by autospin and then I select Autopilot for preview annotations, autospin is off and autopilot presents model by annotation. You can still hide annotations. You’ll find the option in Settings > Annotations. Ouuu 🙂 I am sorry, I did not notice. Perfect, thank you! Fantastic work! Love the new viewer layout. I cant change color of Wireframe by keyboard shortcuts. If i click 5 on keyborad I see a transparent wireframe. Thanks for the feedback! Yes, that’s a known limitation and it’s on our wish-list. Kind of disappointed in sketchfab, I thought it’s not such a pain to upload a model and make it display correctly. Especially if I have packed all textures in the scene, and it works perfectly in the program. I’m sorry you’re having trouble. 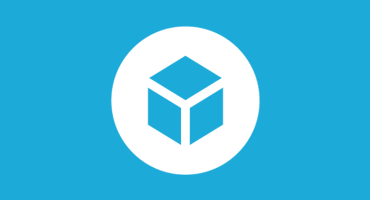 Could you share a link to an example model you uploaded so we can take a closer look and get it working for you? Awesome! but please bring the wireframe button to the front of the interface so it can be toggled really fast. I use sketchfab to learn about mesh topology too! I dont want to dig for it in two menus and button presses just to enable it.